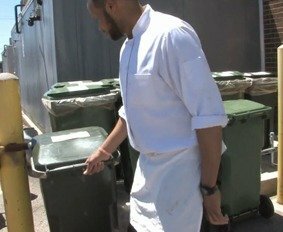 Composting is an easy, effective way to add to the sustainability efforts of any restaurant, school, office, the house of worship, or other institution. It diverts valuable resources from the landfill and demonstrates a commitment to helping the environment. 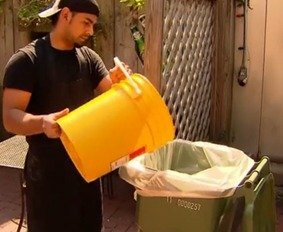 Additionally, composting may even be able to save an organization money. Many customers have succeeded in lowering hauling costs by reducing their number of weekly landfill pickups. 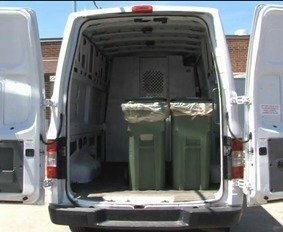 We offer food scrap hauling for businesses large and small and have many customers all over the Chicagoland area. Some of our larger customers are able to divert up to a ton and a half of food waste per truckload. Most customers are on a weekly pickup, but some get pickups two, or even three times, per week. With each pickup we deliver clean, 32-gallon kitchen-ready lined totes. Pickup fees are $24 per tote for up to 4 totes. The per tote cost reduces from there depending upon quantity. Click here to see our special partnership rates for the City of Evanston. 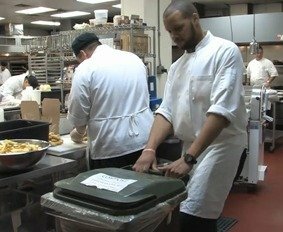 Some restaurants work directly into the totes, others use smaller containers at the food prep stations and tip into the totes. We will work through the details with your kitchen staff. Click here for a complete list of what can go to the commercial composting site. 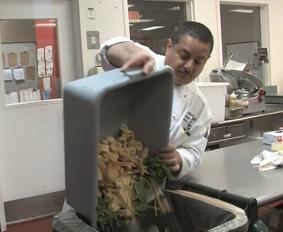 Don't feel like you have to divert every food scrap your kitchen produces at the beginning. You may want to start with one weekly tote pickup to get a feel for it. Please contact us for pricing information. Our goal is to make it simple for everyone to reduce their landfill use. Just ask Food For Thought Catering. In this video they explain just how easy it is to work with us! Fill out a signup form and select "commercial composting" for a personalized service setup.